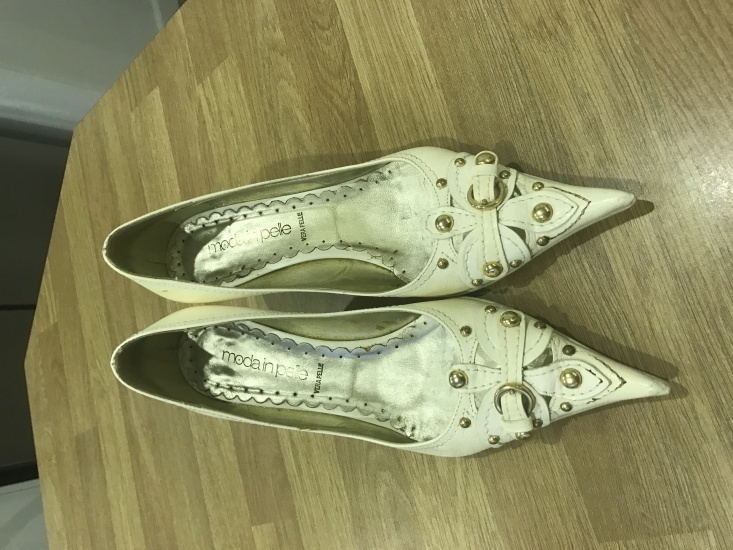 Cream stud and buckle detail court. 55mm heel. Large size 36. Worn, still with box and receipt.